Metal music goes beyond titans like Slayer, Megedeth, and the legions of bands that receive some semblance of mainstream rock radio airtime. There are hidden corners filled with noise, sludge, and distortion. Panama City’s Coeur is one of those bands. They are three young guys determined to make their mark, brandishing noise as a weapon against the expected. 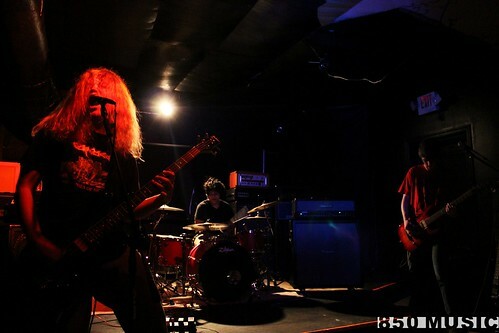 Elements of slow groove oriented metal, touches of thrash, and tons of experimentation drive Coeur’s sound. Live shows are intensely loud; you are enveloped in this swell of roaring noise. Making it easy to close your eyes and drift off to metal nirvana. What is ultimately most interesting about Coeur is just how young the members are. They are under 20. With a drive for experimentation and just how much their sound has grown in the couple years I’ve seen them, the future holds lots of interesting prospects for them. This entry was posted on October 6, 2012 by 850music in Posts and tagged review.